بدا الوضع السورى أعقد مما كان فى الشهور السابقة، رغم أنه بدأ معقدا ومشوشا. حيث ظهر واضحا التدخل الدولى، والتدخل الذى تقوم به نظم، مثل العربية السعودية، لا تريد للثورة أن تنتصر، من جهة. وظهر اندفاع الأصولية السلفية من بلدان متعددة، منها ليبيا والسعودية والأردن لـ«الجهاد» فى «أرض الشام» من جهة أخرى. وأيضا بدت الثورة وكأنها تحوّلت إلى حرب مدمرة. ورغم ضعف إمكانات ما يسمى بالجيش الحر، فقد لجأت السلطة إلى كل مخزونها العسكرى (المعدّ كما هو مفترض للحرب ضد الدولة الصهيونية) لكى تدمّر المدن وتقتل الشعب (وليس المسلحين) فى ممارسة توضّح بأنها تنتقم من كل من تجرأ على التمرد عليها. وهذا ما جعل الوحشية هى التى تحكم منطق الصراع، وإذا كانت هناك ممارسات سيئة وأخطاء فادحة من قبل بعض المسلحين، فإن السلطة تمارس التدمير المنهجى والإبادة الجماعية. فى هذا الوضع وجدت تشوشات جديدة، وإرباكات أكثر، وضع يحتاج إلى تدقيق أعلى، وتحليل أدق. ما هو واضح منذ بدء الثورات العربية أن السعودية خصوصا (وأمريكا والدولة الصهيونية) فى وضع مرتبك، وخوف على مسار قد يطيح بهم وبمصالحهم. السعودية تعرف بأن الوضع الشعبى لديها مهيأ للثورة، لهذا تريد أن تدمر الثورات العربية لكى لا تصل إليها. فى ليبيا دعمت تدخل الناتو، ولعبت على تشويه الثورة. وفى سوريا دعمت النظام ماليا ستة أشهر بعد بدء الثورة، وأخرجت له ما يعزز روايته عن «إسلامية» الثورة (دور العرعور وقناة الوصال)، لكنها وجدت أن الثورة تتوسع والسلطة عاجزة عن سحقها، لهذا لعبت على «الخط الآخر»، أى فرض الأصولية على الثورة، ودفع «السلفية الجهادية» لكى تمارس ما هى مبرمجة عليه، أى الأولوية للصراع ضد الروافض والعلمانيين. فـ «تحرير» الأقصى يحتاج إلى «تنظيف» بلاد الإسلام من هؤلاء! ولهذا جرى إدخال مجموعات سلفية بالمئات من تركيا ومن الأردن. كما عملت السعودية على تقديم الدعم المالى للسلفيين والإخوان المسلمين بالتحديد. ولهذا باتت هناك خشية من أن تقامر هذه الفئات بافتعال صراع طائفى حاولت السلطة منذ البدء افتعاله لكن الشعب أفشله. هل ستنجح الآن؟ أظن لا، حيث أصبح الشباب أكثر دراية، وهو الأمر الذى جعل نقد «الجيش الحر» مسألة يومية، وجرى الدفع نحو وضع قوانين لنشاطه، خصوصا وأن تراجع سيطرة السلطة على الكثير من المناطق قد سمح بأن تعمل عصابات تحت اسم الجيش الحر، وان تمارس الابتزاز والقتل (دون أن نتجاهل أخطاء الجيش الحر ذاته). أظن أن المسألة هنا تتعلق بالخوف من الثورات أكثر من الخوف من السلطة، لهذا لن تدعم انتصار ثورة. ولا شك فى أن الوضع الدولى لا يسمح بهذا، ليس انطلاقا من الفيتو الروسى فقط، بل أساسا نتيجة التوازن العالمى الجديد الذى نتج عن ضعف الولايات المتحدة وأزمة أوروبا. ثم لماذا تتدخل إذا كانت السلطة ذاتها تنفذ ما فعلته الولايات المتحدة فى العراق، أى تدمير سوريا. وهو الأمر الذى سيفرض ضعف سوريا وبالتالى يمكن أن يجرى الدفع نحو تفككها بعدئذ. من هذا المنظور ليس من تدخل عسكرى رغم كل التسريبات والتصريحات والخوف الذى يزرع من أجل التخويف من الثورة لدى فئات يجب أن تدعم الثورة. الوضع السورى معقد، بالتالى يجب أن نتلمس كل زوايا المسألة لكى نصل إلى وضوح كاف. The uprising in Syria was the uprising that sparked a lot of skepticism and confusion. The political position of the Syrian regime in the Arab region is the reason for this, where the regime seems to be in an alliance “conflicting” with U.S. policies, and supports the resistance in Lebanon and Palestine, and seems to be the last “resistance” facing the imperialist dominance in the “Broader Middle East”! Marxist Perspective : Political economy Analysis or “strategic”political Analysis? From the aforementioned perspective, it seems that our position should be closer to the Syrian regime. But what is the perspective which is essential for a Marxist to approach the situation and to start from ? The Political economy Analysis or “strategic”political Analysis ? The view was always based on political analysis. The approach to this issue from a “strategic” perspective was based on the recognition of “international relations” and the resulting position, especially the (consensual / conflictual) relationship with imperialism, taking into consideration the fact that the latter is the “center” which governs the consideration of all other issues for a large sect of the Marxists, and it is ” the central ring” to which the contradictions are bound. And therefore it determines the position: with or against. In Marxism (and this is a methodical basis, not a political position) we must then start from the economic analysis in order to understand the situation scientifically, otherwise the idealistic logic, which starts from the “political element”, the state, and ideas, controls us. We must start from the economic field in order to approach scientifically the field of politics. Then, when studying the Syrian situation it must be dealt with the economic configuration that has been formed and that has become dominant. And then with the contradictions resulting from it, both internally ( i.e. in internal class frame), and globally ( i.e. global positioning frame).There we will see that the last ten years have led to the re-arrangement of the economy in order to become a completely liberal economy. That is, by the collapse of the economic role of the state, and the imposition of privatization, and then the destruction of the “public sector”, and the dominance of the private sector which has become 70% of national income. And then the transformation of the economy from a productive economy to rentier economy, through the focusing of employment in the sectors of rents, such as real estate, services, tourism, banking and trade. This process is related to the transformation which made the private sector the largest sector. It means that the employment of the private sector went to this rentier sector. This lead to a major collapse of agriculture and industry. This process has lead also to severe class polarization, through which the wealth accumulated in the hands of a small minority.The new form of economic configuration provided somehow the well-being of less than 20%, but crushed more than 80% , as a result of unemployment (which reached 30% approximately), or the result of very low incomes, where the minimum income became less than 30% of the minimum necessary income to live a “natural” normal life. This situation had lead to exacerbation of the extent of class contradiction. And this is an “ideal” situation for a class conflict to exist. The prolonged severe oppression, the absolute control of the trade unions by the regime, the prevention of all forms of protests and rejection, all these prevented the manifestation of class conflict previously, except that it was limited to some verbal objections and shy critics in the conference of trade unions, or what was pointed to by the “communist” parties participating in the regime, or in some points in the native press. But this has not prevented the increasing tension in all exploited poor classes, that was alone capable of causing a social explosion, despite the forms that it may take. The uprising is the expression of this escalating tension. Therefore, starting our analysis from the economic element connects us to the class element. As it is well known in Marxism, the contradiction is in the structure (class stratification), which establishes direct exploitation (ie, positioning in the class-based society). Thus, our position must be determined from this point, not from any other point, i.e. not from the “global field”, in which the phenomenon of imperialism is based. Here becomes the contradiction a “political”one, moving it from a class conflict to conflict between countries, despite the economic base that governs this conflict, that I will refer to, next. What is happening with some of the Left is what we have just said, so that the political situation is the factor that determines their situation, not the class conflict. The political element does not necessarily express clearly the class factor. There may be even a conflict between “pre-capitalist” forces and imperialist capitalism. The “pre-capitalist” forces are fighting here from a reactionary perspective. Therefore they do not become revolutionary forces that we should be in an alliance with. But when the popular classes rise up against a regime that has certain “conflicts” with imperialism, it is necessary first to identify the reasons for these conflicts, and then insist on the development of the class struggle because it represents the main contradiction. Are these conflicts of economic bases , or due to class contradictions? Here we must understand imperialism as an economic structure before it becomes global politics. But also we understand that the situation of class contradictions is what defines the political situation and not the opposite. The conflict between the imperialist countries, despite their common capitalist nature, is a result of competition, and there is a deeper contradiction with the countries that want to be free building industry and the developing agriculture and to achieve economic and political independence. Now there is a contradiction between the American-European imperialism on one hand, and the Russian-Chinese imperialism on the other hand. These contradictions do not affect the situation of the lower classes or the prevailing economic pattern. Thus these are just contradictions between Imperialist countries. And the nature of the economy imposed by this pattern now, is the rentier economy, through the imposition of a market economy and liberalization, which was applied in response to the conditions of the IMF, that enforces abandonment of the economic role of the state (ie, the imposition of privatization, and ending the role of economical protection previously established in order to prevent the escape of surplus value to the outside). Rentier economy was spread during the last two decades, through focusing of the economic activity on real estate and services, import and banks and commercial activity, and the destruction of the productive forces in agriculture and industry. This is the economic configuration that allows the achievement of the imperialist plunder of money through the activity of which is active in mortgage speculation, and banks and all these sectors, and also in exporting to these countries. On the other side we can see the accommodation of the Syrian economy with this configuration, despite the existing”contradiction” . We have talked about the transformation in economic structure over the last decade,that was going with a “plan” that seems to implement the terms of the International Monetary Fund despite the absence of an agreement with the Fund about that, which had also even worse consequences on the economy (where the Fund provides advantages, which were not provided in Syria ). In this sense, economic transformation in Syria was going towards binding its economy with the imperialism. There was usually a distinction between the economy and politics by the Communist Parties in Syria, on the basis of the idea put forward by Comrade Khalid Bakdash (probably in 1980), in which he referred that if he looks at the internal situation he would have been in the opposition, but if he refers to the “national position” of Syrian regime, then he will be a supporter of the regime . This separation between class and national level, mainly between the economic and political (in the interest of the political), is at the heart of “misunderstanding” what is happening in Syria. Or is the basis of the taking the wrong position about what is happening in Syria. Is it possible to separate the economical and political, and national or class factors? The Idealistic logic makes this, but Marxism considers this issue in a scientific way. The political position is in general, and in specific,the national position especially is inseparable from the interests of classes, but it is the result of these. When the interest of the capitalist is importing goods, and employing of money plundered from the “national” market in the global market , smuggling these huge quantities of money to the global market, and the restructuring of the local economy on the basis of its ( the global market ) interests as previously noted, making it rentier economy interested to link with imperialist groups, and access to market capitalism. Here, the national issue falls down, or becomes subjected to bargains that serve the economic interests. Growing Capitalism in Syria see that its natural situation is in binding itself to imperialism and not in opposing it. That is because opposition to imperialism was based on building industry, agriculture and development. This interprets the “contradiction” between the Syrian government and “imperialism.” It is not a class contradiction as long as the capitalist class has adapted to the pattern of economic imperialism, and not in adherence to the “ideology” or “national love”, because these have collapsed since a long time ,and “Baath Ideas and slogans ” became “wiper” used in cases of “political confusion and problems”. There has been a financial entanglement between the “new businessmen” and capitalists of Arabian gulf, Turkey, eastern Europe mafia, and Russia . That means that the “new class” that was founded on the basis of plundering the state and the public sector, adjusted the local economy according to the “general nature” of the peripheral form of capitalism . This interprets the conflict with America, and Europe, but does not eliminate the fact that the dominant class is a rentier mafia class that is connected with the imperialist capital(even if it is Gulf or Russian or Turkish). In the sense that its the political conflict with the United States does not negate its nature, and that it adapted the economy according to the “global nature” of the current imperialism. Based on this, it forms “alliances” and relationships, and insist on their “resistance”, and name “reluctance”. This conflict is not a class conflict, not economic, but political, where the U.S. strategy after September 2001 does not accommodate the continuation of those in power, and was seeking to establish sectarian systems. In this situation the conflict is not essential, but only due to a partial difference in interests. The local economy became capitalist and accommodated with the general character of imperialism, and this is what enforced the occurrence of the social explosion. So, we should not look at the uprising from the common political point of view but exactly from the nature of the class conflict , and we should understand the nature of conflict between the imperialists and its limits, so that it doesn’t become the criterion that indicates our position from the uprising. Especially in the idealistic methodical analysis, where the political position directs the analysis instead of relying on analyzing the reality, as it is, as the primary base of any attitude. The common Left starts from the political factor, and this is the basis of misunderstanding the reality, since a long time. This left could not differentiate between class interests and the speech that is constantly produced by the ruling class, so it makes the speech in place of interests, where the speech in many times is a sham to camouflage the interests, and not to express it. And this is the basis of the wrong position of many leftists towards the Syrian uprising. What can be said here is that the uprising is in its heart an uprising of the masses that became unable to live under these conditions, and that aim to overthrow the regime to achieve their demands on their status of living, and the political conditions that allow it. But also that have not found parties that express this after blowing the spontaneous uprising. These masses were then controlled by their “traditional” senses, and thus the slogans and logos were the product of that. Here we see the complete absence of Marxist forces, despite the participation of many Marxists. This raises the question about how to form a clear Marxist position about the uprising ? And how to arrange and direct the Marxists participating in the uprising in order to form a real force first, and in order to influence the slogans of the uprising and its context, making it with clear objectives (in addition to overthrowing the regime), and developing its effectiveness, after the conscious element became an important role in its victory? About the international situation: fear from the “imperialist conspiracy”? There is no doubt that American imperialism has worked since the occupation of Iraq on changing the regime in Syria, from the perspective of the project aiming to control the region, which I call the broader Middle East Project. And thus from the political perspective it was clear that the U.S. imperialist tendency to dominate the world aimed to control the Syrian regime.The assassination of Rafik Hariri was in the context of applying pressure to change the regime. These are facts that must be clear, which indicate that the status of the Syrian regime had not adapted to imperialist globalization, and was not controlled by it according to the principles that have evolved after the collapse of the Soviet Union, and that is based on forming sectarian systems like the case in Iraq. As the Authority facilitated the control of the “new businessmen” (plunderers of the public sector previously), and allowed the liberalization controlling the economy according to the economic rules imposed by the institutions of globalization (the IMF and the World Trade Organization and the European Partnership), that goes along with the interest of a familial minority in particular, it ignored the shift of “the global financial crisis” (which is the crisis of capitalism itself) in 2008, so it kept on the same analysis, and lead to a lot of talk about imperialism and conspiracy, and “inevitably”lead to consider that everything happening in Syria is “an imperialist plot. The superficial political perspective have not allowed the deeper understanding of this problem, and does not see the new global repositioning. Despite that some dramatized the extent of American collapse, and the victory of ” reluctance “, these now forget all their dramatized analysis. Thus, what we have to understand now are the global conditions, and whether the imperialist policies are still as they were before 2008, or have been changed ? It has been focused after 2007 on the “defeat of America in Iraq” when the U.S. decided to sign an agreement of “withdrawal” from Iraq. And it was focused on the transformation of regional balance of power in favor of opposition forces after the defeat of the Zionist state ( Israel ) in July 2006 in Lebanon. But the approach of the uprising in Syria was dealing with it as if it is the same as the situation since the collapse of the Soviet Union in 1991. And thus remembering the “New Middle East Project”, and dealing with it as if the U.S. is still in the “Almighty” strength. And that the global situation is still imposed to its power, despite their amplification of the role of Russia.This approach is still dealing with Russia as an ally, as it was in the time of the Soviet Union, despite the fact that it is now a real imperialist country. This is one of the changes that have taken place after the crisis of 2008. The crisis led to a blow in America’s economic situation, and a risk of collapse after the mortgage bubble burst, on September 15, 2008. The result of the solution for the accumulating debt crisis, for the benefit of banks that are in danger of collapse was the accumulation of U.S. debt that reached the level of that threats the state to collapse. This crisis reached Europe through the crisis of its banks that also imposed its countries to pay the debt of these banks, which caused the accumulation of a huge debt on these countries. This caused them to follow severe austerity plans that increased the pressure over people. All this made the world look without a dominant force as it was after the collapse of the Soviet Union, and it appeared to be divided into axes, and established “multi-polarity” . Despite the continued attack of Barack Obama administration in the years 2009 and 2010, it showed capability to progress more, after the accumulation of state debt , that was higher than the national income. The result was that the U.S. found that the “magic solution” to its problems, based on the wars, is no longer feasible, because the crisis itself is not a conventional crisis that a war is the best way to get out of . And it resulted from the dominance of money on real capital which appeared in the crucial role of financial speculation (in the stock markets, and speculations on food commodities and oil, etc.) and the control of employment in monetary branches. A situation which made the capitalism necessarily in regression . This has been reflected in a change in the military strategy of the United States, by recession of its strategy of arrogant fighting in two major wars and numerous small wars at the same time (Strategy of Ramsfield, the Secretary of Defense under Bush Jr.), and the emphasis on not fighting in more than one war at the same time. And then focusing on the Pacific area, and limiting its control over the Middle East by the special air forces, and by stationing of military troops in some Gulf countries. And essentially reducing the number of troops and reducing the “defense” budget. There is no doubt that the fear of an explosion of a “new bubble” is controlling all the politicians and strategists in America. The economic crisis can no longer be solved by war, and America’s economy has become a burden on Capitalism as a result of centralization of monetary blocks that are active in speculation there, and the decline in industry to a large extent, and reliance more and more on importing, and printing huge quantities of dollars more than the world can really bear. Although Russia was also affected by the financial crisis but still did not become its “victim” as America and Europe. China have benefited from this crisis to extend its dominance over Europe and other areas. Some other countries that had previously made some progress, such as India, Brazil and South Africa (and even Turkey) tend to impose their power in international relations, each of which becomes a new pole. 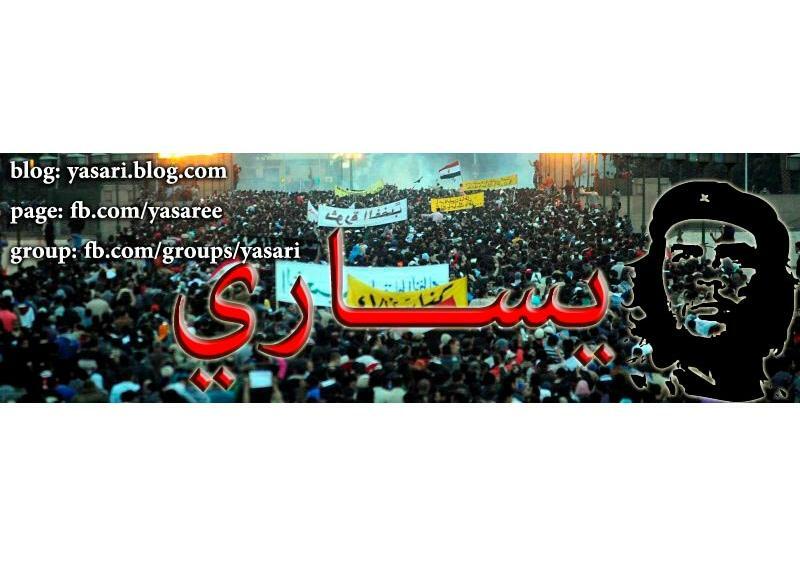 Under these circumstances, and global repositioning, came the Arab uprisings. America rushed to contain it after the moments of terror that controlled it, and that was easy for it in both Tunisia and Egypt, where the leaders of the army are in “close relationship” with the U.S. administration. The U.S. worked to prolong the conflict in Libya and Yemen,and to benefit from the disintegration of the basic structures in the community in order to weaken the states and control their tracks. But when the uprising started in Syria, the global transformations were much more difficult for U.S. to impact there. America’s economic situation was more difficult, as it has not overcome the crisis, after two and a half years of its beginning.Russia, on the other hand has begun an offensive policy after the attack of ” west ” in Libya. This situation has changed all policies, and thus the “new Middle East project” is no longer an option, and it is not applicable anymore. The probability of intervention or war or seek to change the power became impossible. As long as an internal coup is no longer possible (after the failed attempt of Ghazi Kanaan / Abdul-Halim Khaddam), the alternative which is a military intervention, is even more difficult, not only because of the U.S. withdrawal, but also because any intervention here means a shift into a regional war which is beyond the capability of the U.S., especially that Syria would be supported by Russia, imposing that Syria becomes its share in the new global partition. Therefore any perspective that does not consider all these variables will not understand what is going on, neither in Syria nor in the Arab World. The boring repetition of the word “imperialism” ,without a real understanding of the term, would not have a single benefit, nor the parrot-repetition of the word conspiracy. Imperialism is related to the structure of society through the economic system that matches its interests, and that what has been achieved in Syria, but this time with the support of Russian imperialism. It is imperative that we fight all imperialisms especially that the imperialist intervention in Syria is the role played by Russia to support the regime, and to justify all its crimes. The era of exclusive U.S. dominance is finished, and the capitalist system became weak and suffers from the absence of a dominant center, and thus Capitalisms are re-positioning to achieve more power in a world passing towards multi-polarity, although it now appears to be divided into two poles: America / Europe, and Russia / China. By the end of American exclusive dominance the “New Middle East Project” reached its end, and it became difficult for the old capitalism forces to strongly influence the path that the Arab world will pass in.. In this situation is there a possibility for military intervention, or a military support for the opposition? This is the only possible way for the conspiracy, the path for intervention in Syrian affair. Based on this, some argue to prove that what is happening in Syria is “an imperialist conspiracy” .But an imperialism taking position about what is happening is in the deep nature of imperialism, and an imperialism trying to pressure or influence events as well is “natural”. How can an imperialism be silent ! However, we pointed at the U.S. hesitation in taking a clear position about departure of the regime until recently, and how the U.S. did not take a solid position about what is happening in Syria. There is no doubt that its global situation is the basis of this attitude.It is not capable of performing a military intervention (perhaps if the present situation in the arab world grew up in 2005 or 2006 there could have been a military intervention), especially because an intervention in Syria could lead to a regional war that needs more than a limited intervention but an extended war, and this is beyond the capability of America and the Atlantic Alliance. The armament will not be more than a marginal support, if it is decided. This is because it requires a base that is not present, not in Turkey nor in Jordan, Iraq, and Lebanon. Because a real support through any of which can lead to war, which does not seem to be possible. Do we count the statements issued by officials of these countries, or see the reality and touch the facts ? All those who base their analysis and position on the “conspiracy theory” rely on statements launched by the opposition or some of the leaks without touching the reality and the possibility of any practical role. This is a chronic problem of the “elites”, but is repeated like a caricature in the Syrian situation. Positions are based on statements and leaks and speculation and intentions and not on a real study of the facts, and understanding the possibilities of the reality. This causes their attitudes seem to be outside the context of the reality, and in contradiction with it, as a farce. The International situation is not pointing to any possibility of military intervention or even arming the opposition, and the “elites” base their position as if the military intervention is already present, and the armament is at its highest stages. And these keep silent regarding the bloody massacres and the criminal acts of the regime. They see the uprising as an act of armed gangs, on the basis of the image that the regime propagates, since they are in the same “reluctant” position. So, formal logic is the basis for this “crime” practiced by some elites, where imperialism remains as “something” with fixed identity, and the global situation stays divided, as it previously was, to a level as if Russia had not abandoned being a “socialist” country and had not become an imperialism. And thus the analysis was not based on the global economic conditions, nor did it take into consideration the relationship between global imperialist forces, nor the shift in global situation since September 2008, with the outburst of the economic crisis of capitalism, that was much more deeper than limiting it to its monetary character, but it is a crisis of the imperialism that is rot in reality. And on this context we should recognize the attempts to impose a new “global system”. Is there a position scruffier than this? Perhaps the Arab uprisings will not only drop systems off, but also these elites as well. Perhaps these elites may have touched that these uprisings are revolutions on their logic as well, for this they are now defending the last strongholds of their old logic. Congestion has increased in depth, in layers that were crushed to the level of “starvation”, but were not seen by these elites because it was necessary to remove piles of “mental garbage” that were an obstacle to see this depth, which was impossible. Thus, this rising wave coming from the depth will remove all what is above it, the dominant classes, and ideas, and elite. Therefore, the “Imperialism” is in a “condition of fear and horror”. All signs suggesting a position against it will be correct and revolutionary?! This is a product of a “mind” living the extremes of generalizations and superficial shallow logic. Thus a supposed image of the reality is produced by this mind. Here, the “virtual world” is considered to be the reality, and it retreats the reality in the jungles of “history.” Therefore it does not consider the presence of humans and economy, plundering, corruption and exploitation. As if these are excess that do not exist in the logic of “resisting imperialism”. People are considered ignorant rabble and tools, and all the existence is the presence of the “idea of imperialism,” which turn out to a Totem. After all, this “mind” is the one who was able, barely, to see the equation of the system / imperialism, and is supposed to be against imperialism, therefore, is with the system. What is the status of the system? Its class character? The economic configuration which it established? And the relationship of this configuration with the global capitalism? These are not questions that this mind considers, but answers are already present in a virtual perception based on its “anti-imperialist” character. Hence, answers are previously ready, and it is in Syria, as in anywhere in the world “against imperialism.” For this there will be no need to look at people, classes, and the configuration of the regime, and its practices, and to the class nature of this regime. What is then the impact of the Syrian uprising on the regional situation? Opponents of this uprising base their position on their fear of the resistance to collapse, i.e. Hezbollah and Hamas (which quickly jumped to the other side). Perhaps also on the fear from the collapse of states that are in “conflict” with imperialism. Where Syria looks to be the last Arab country outside the “American herd”. Although we have our skeptism regarding this resistance, and regarding the limits of the Syrian conflict with the American Imperialism, these fears are legitimate. At the very least, there must be forces that say “No” to American Imperialism, regardless of cause. It is nice if something remains from that beautiful past, the past when the arabs and the third world raised their voice against the capitalism, and the arab nationalistic movement was wide, and acquired great changes, that caused a shift in the local situation and the global conflicts, and gave the hope in a world that overcomes Imperialism. Syria was the pale remnant of this past. Maybe this caused some Marxists and nationalistic elites to support the regime. But these are living in the past, maybe they are binding themselves to a nice dream! But actually, the global repositioning does not allow anymore anything of that past, even as a dream. The regime in Syria today is not even a remnant of that dream, where nothing from the hope of liberty and progress and “socialism” remained. Its conflict with the American Imperialism is not based on a tendency to liberty and progress and “socialism”, but a result of its possible positioning between the new imperialist forces. Thus it belonged to the axis of Russian imperialism, and not the American Imperialism. The regime in Syria and Iran ( and previously Turkey ) are bound to a certain limit by the Russian-Chinese axis that is forming. This new axis that is forming is also an imperialist capitalist axis that seeks economic dominance and plundering also. No doubt that all the hostile charge formed against the old imperialism will make the regime justify its relationship with the new imperialism. But this relationship remains related to the economic configuration internally, which will be necessarily a mortgage economy. Even in its relationship with Russia and China, the most important concern of these imperialists is the export of goods (including weapons from Russia), and financial recruitment. From this perspective, that a Marxist must look from, there will be no change in the global position of Syria. The global conflict had put it in the Russian Axis, and there is no possibility to shift into the American Axis (despite the “love” of the new businessmen and regime elite, towards U.S.) and thus there is no possibility to change its alliance with Iran. Even the relationship with Turkey will return to be just as it was before the uprising. The internal conflict will not change the regional and global Syrian alliances, and will be limited to the internal situation. This is due to internal and global balances also. Despite the fact that the Syrian regime provided protection of the borders with the Zionist state, and disregarded the liberation of Julan, and also started negotiation about it, its position in alliance with Iran and its support to Hezbollah display it as the regime that plays a basic role in “resistance “. But it is essential to notice the great change of Hezbollah strategy. Hizbollah adopted the defense strategy after the liberation of South and participated in the Lebanese government. And this situation is similar to that in Syria, which is based on a defense strategy. The Arab uprising, and the track that it will impose at last, will establish a different Arab situation in relation to the Zionist state and the imperialist dominance, based on conflict and fight, and not submission. We are in the context of a stage that will inevitably lead to a conflict with imperialism due to the tendency to destroy the economic structure that the imperialism previously imposed for continuous plundering of the country, and that is based on mortgage economy. In this context, the conflict with the Zionist state will be a part of the new stage. The uprisings aim is to achieve a radical change in the Arab world, and that would not be possible without a complete independence from the Imperialism ( old and new). The revolution in Syria comes in the context of this deep change in the Arab situation, and will lead to a conflict with imperialist, despite the present situation of the opposition. This opposition, even if it could play a certain role now, would not be capable of that in the next stage soon. This is because most of this opposition does not recognize the great changes globally, and also internally. Such opposition is “living” in the past, especially that youths in the region over-passed all the political structures and do not find intersection with the present parties. The misunderstanding of the internal Syrian situation, and of the global conditions, imposed the fear of change that is controlling elites. Thus the fixation to the past becomes a substitute of approaching the future. These elites attach themselves with the last straw to save themselves from sinking; the flood will sweep them just as it will sweep the systems. No doubt that the change will overpass every sectarian resistance in the interest of a popular mass resistance, and the Arab positioning will not be in belonging to a global axis ( U.S. or Russia), but it will be in belonging to themselves in the context of a rise in the global conflict to overcome Capitalism. 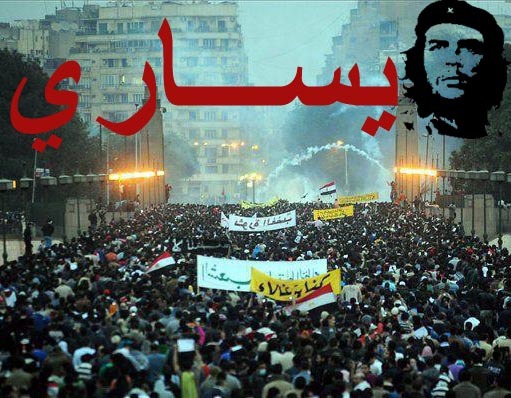 The Arab uprising will be a part of the global class struggle to overcome Capitalism. “Marxists” who do not recognize that they will be inevitably swept with the regimes, because their date would be expired. And because they are hanged to the eyelashes of regimes or the “resistance “, and is outside any activity, except what is passive. The horizon of the occurring changes reaches a radical change of all the equation established by the imperialism during the last 40 years in the context of the revolutionary rise for an independent united and developed nation. في المفاهيم السياسية هناك الدولة وهناك السلطة. الدولة هي مجموعة المؤسسات والأجهزة التي تتشكل منها، وهي كلها تشكل بيروقراطية الدولة. وهناك السلطة التي هي الفئة التي تتحكم بكل هذه المؤسسات والهيئات والأجهزة وتسخّرها لمصالح محدَّدة، وهي مصالح طبقة رأسمالية. وفي سورية كان الصراع مع السلطة التي قررت سياسات اقتصادية ومارست الاستبداد الطويل، وأخضعت مؤسسات الدولة لتحقيق كل ذلك. وكان شعار إسقاط النظام الذي رُفع في الثورة يعني إسقاط هذه الفئة وتغيير النمط الاقتصادي الذي شكلته، خصوصاً في العقد الأخير. أنهكت العقود الماضية الأحزاب الشيوعية والماركسية وهمّشتها، بسبب العنف السلطوي ربما في بعض البلدان، لكن أساساً بسبب التحوّلات التي حدثت في الواقع وأعادت صياغة التكوين الطبقي، وبالأساس نتيجة سياسات خاطئة انطلقت من «تكتيك سوفياتي» أكثر مما انطلقت من الماركسية ومن تحليل الواقع الملموس عبرها، وهو الأمر الذي جعلها تتبع تكتيكات لا تطور الصراع الطبقي، وتتناقض في كثير من الأحيان مع الواقع ومصالح الطبقات الشعبية، أو تضعها في سياق إصلاحي لا أفق له. وبالتالي كانت عاجزة عن التعبير عن مصالح العمال والفلاحين الفقراء، وكل المفقرين، في سعيهم إلى تحقيق التغيير. ولهذا كانت انطلاقة الانتفاضات في البلدان العربية عفوية، وتحمل في جوفها الحلم الديموقراطي الذي يراود شباب الفئات الوسطى أكثر مما حملت مطالب العمال والفلاحين الفقراء، وكل المفقرين، لأنّ هذه النخب الشبابية هي التي أدّت الدور الأساس فيها. وذلك رغم أنّها لم تكن منظمة سوى في أشكال بسيطة (عبر فايسبوك)، ومن أجل ثورة وفق آليات ليست منضبطة. لكن النتائج التي حصلت لم تحقق حتى هذا الحلم الشبابي. فقد أفضت عفويتها إلى إسراع الطبقة المسيطرة لمحاولة امتصاص الأزمة من خلال «إسقاط الرئيس» وتحقيق انفراج ديموقراطي يسهم في إدماج فئات من الرأسمالية التي جرى استبعادها بفعل الطابع الاحتكاري لنشاط الرأسمالية المافياوية الحاكمة، كما يسهم في توسيع القاعدة السياسية لسلطتها، عبر إشراك الإخوان المسلمين في سلطة «ديموقراطية منتخبة». وبالتالي إعادة بناء السلطة في شكل جديد دون المساس بالنمط الاقتصادي الذي أسسته. هذه المسألة أفضت إلى انتخابات وتشكيل مجالس برلمانية تسيطر عليها الأحزاب الأصولية، وبعض الليبراليين. وهو الأمر الذي فرض التشكيك في الانتفاضات ذاتها، وقاد إلى سلبية كبيرة في التعاطي معها. وأصبح التصور الرائج يقوم على أنّ الانتفاضات حدثت، وهذه هي نتائجها، المتمثلة في سيطرة الإسلاميين على السلطة. إذن، لم تحدث ثورات، أو أنّ الثورات قد فشلت. ونما الميل المضاد للثورة، الذي ينطلق من هذه النتيجة لكونها نهاية المطاف، وليست لحظة في صيرورة. وجهة النظر تلك تنطلق من شكلانية مفرطة، ومن سكونية لافتة. لقد قامت الثورة (وهذا سبب) لكي ينتصر الإسلاميون (وهذه نتيجة). لماذا قامت الثورة؟ لن نجد جواباً متماسكاً في هذا المجال. لقد كان توقّع الثورة مستحيلاً لدى هذا الرهط من «اليسار»، وبالتالي حين حدثت أصبح يرى أن الأمور قادت إلى ثورة، دون أن يتلمس مشكلاتها، ومشكلة غيابه عنها، وموازين القوى الطبقية فيها، وعفويتها، وطابع الأحزاب السياسية القائمة، ومناورات السلطة. لهذا فوجئ بانتصار الإسلاميين في أول انتخابات ديموقراطية كانت تمثّل حلماً بالنسبة إليه. لماذا انتصر الإسلاميون؟ وأصلاً لماذا غاب «اليسار»؟ أسئلة لا إجابات عنها، أو حين يكون هناك ميل للإجابة تكون شكلية، وبعيدة عن الواقع. ما يمكن قوله هنا هو أنّ تطور الاحتقان الاجتماعي نتيجة التحوّلات الاقتصادية خلال العقود الماضية، كان يقود حتماً إلى ثورة. في الوقت الذي كانت فيه الأحزاب تندفع خلف خطاب ليبرالي رث، أو حول ديموقراطية موهومة. لهذا فوجئت بالثورات، وحاولت اللحاق بها، لكن من منظورها الديموقراطي أو الليبرالي، فلم تجد من يساندها من الشعب المنتفض الذي كان يحلم بعمل أو أجر أفضل أو تعليم ممكن أو وضع صحي في متناول يده. لذلك ظلت هذه الأحزاب هامشية دون فعل، أو قبول (إلا في ما ندر). بالتالي استطاعت السلطة أن تعيد إنتاج ذاتها في شكل جديد استوعب بعضاً من «المعارضة». هذه ليست نهاية الثورات، بل ربما هي البداية. ليست الانتخابات نهاية مسار، وليست بداية «مسار ديموقراطي» رغم أنها تُصوّر كذلك. فليست الثورات في جوهرها نتيجة الحاجة إلى الديموقراطية فقط، بل هي نتيجة الحاجة إلى العمل والعيش الكريم والمقدرة على التعليم، والطبابة. الذي يعني كلّ ذلك أنّها تطاول كلية النمط الاقتصادي الذي تقوم عليه هذه النظم، ومن ثم يطاول الطبقة الرأسمالية المافياوية المسيطرة. وبالتالي نقل الاقتصاد من كونه اقتصاداً ريعياً (خدمياً مالياً عقارياً تجارياً بنكياً) إلى اقتصاد منتج (صناعي، زراعي بالأساس). وهذه الانتقالة ضرورية من أجل تأسيس دولة مدنية ديموقراطية، إذ ليس من الممكن تأسيس ديموقراطية حقيقية على اقتصاد ريعي مافياوي. كل ذلك يشير إلى أننا في بداية عقد من الثورات، ولسنا في ثورات انتهت. وأنّ النتيجة الأولى هي نتاج الوضع السابق، حين انهار اليسار، وصعد الإسلام السياسي، كما أنّها، بالتالي، نتاج عدم تنظّم العمال والفلاحين الفقراء وكل المفقرين، وغياب الوعي السياسي لديهم. ومن ثم عدم تبلور الصراع الطبقي في رؤى وبرامج بديلة للنمط الاقتصادي الطبقي السياسي القائم. وهو الأمر الذي أدخل الثورات في اختلاط وتشوش، وجعله دون رؤية وهدف تغييري واضح، بعدما كان تحقيق مطلب إسقاط النظام مرتبط بخطوة من النظام ذاته (إرحل). ودون ميل «هجومي» من أجل الاستيلاء على السلطة. لكن هذه النتيجة التي أفضت إليها الثورات تخفي ما هو أعمق من هذا النظر الشكلي، فما ظهر واضحاً هو ما هو ممكن الآن، لكنّه ليس المطلوب واقعياً. وإذا فهمنا أنّ الأساس الطبقي هو الذي فرض انفجار الشعب فإن ما تحقق الآن لا يلبي ما هو مطلوب. أي لا يحقق مطالب الشعب من خلال تغيير النمط الاقتصادي الذي شكّلته الرأسمالية المافياوية خلال العقود الماضية، والتأسيس لنمط اقتصادي منتج يحل مشكلات البطالة وتدني الأجور وانهيار التعليم والصحة، وفي دولة ديموقراطية تعبّر عن مصالح الطبقات الشعبية. ولهذا فإنّ الثورة سوف تبقى على بساط الفعل، وسوف يبقى الوضع الثوري مسيطراً، ما دام الوضع الذي انتجها لا يزال قائماً. لذلك نلاحظ التناقض الذي يقوم بين مطالب الشعب وما يمكن أن تحققه الأحزاب التي تتصدر المشهد السياسي. وهو تناقض بين إعادة إنتاج النظام القديم في شكل جديد وتجاوز كلية النظام القديم/ الجديد. فالشعب لم يحقق مطالبه، ولا يزال في الفقر والبطالة والعجز عن العلاج والتعليم. ويتّضح أنّ الأحزاب التي وصلت إلى السلطة في تونس ومصر والمغرب لا تحمل حلاً لهذه المشكلات. على العكس إنها تؤكد عدم اختلافها مع النمط الاقتصادي الذي ساد طيلة العقود الماضية. فهي ليبرالية في سياساتها، وتعبّر عن مصالح فئات من الرأسمالية جرى تهميشها في العقود السابقة (الإسلاميون يندرجون هنا). هذا التناقض يفضي بالتأكيد إلى انفلات الصراع الطبقي، إذ الشعب غير قادر على العيش في الوضع الذي هو فيه، والسلطة ستكون ضعيفة وعاجزة عن الحكم، وكل محاولات إعادة بناء السلطة «ديموقراطياً» سوف تظهر هشاشة السلطة. وهو صراع من أجل موضعة الطبقات انطلاقاً من تغيير النمط الاقتصادي، وبالتالي يفرض إعادة تشكيل الواقع الاقتصادي بما يؤدي إلى حل مشكلات الشعب (البطالة والأجر المتدني والتعليم والصحة)، وهو الأمر الذي يقتضي بلورة بديل يطرح مسألة إعادة بناء الصناعة وتطوير الزراعة، وإعادة تأسيس التعليم والصحة والبنى التحتية. هذا هو البديل الذي يفرض أن تؤدي الدولة دوراً محورياً فيه، ليس بفعل ميل أيديولوجي بل نتيجة أن كل فئات الرأسمالية القائمة لا تميل إلى النشاط في هذه القطاعات، بل نجدها تتمركز في القطاع الريعي. وفي الوقت ذاته تكون دولة علمانية ديموقراطية، تفتح الأفق للنشاط السياسي والنضال النقابي والمطلبي، والتفتح الثقافي. بالتالي فإنّ المرحلة القادمة هي مرحلة صراع مستمر من أجل تغيير جذري لا يتوقف عند الشكل السياسي للسلطة (التعددية والانتخابات وحرية الصحافة)، بل يطاول النظام الاقتصادي بمجمله. 1) تحرر الشعب من الخوف ومن السلبية، ولقد تقدم لكي يدافع عن وجوده وعن حقوقه. بالتالي تجاوزنا مرحلة السكون الطويلة التي نشأت بعد تحقيق تغيير النمط الاقتصادي على ضوء الانقلابات التي حدثت خلال خمسينيات القرن العشرين. ولهذا أصبحنا في وضع «متحرّك»، حيث الصراع يومي، وحيث الطبقات المفقرة تناضل من أجل وضع يحقق مطالبها. إننا في مرحلة تتسم بتفاقم الصراع الطبقي، واستمراريته. 2) وفي هذا الوضع اندفع الشباب إلى الفعل السياسي بعد استنكاف طويل سبّب أزمة عميقة في الحراك السياسي، وأفضى إلى «شيخوخة» الأحزاب. وهو الأمر الذي أوجد قطيعة مع هؤلاء الشباب، وفرض التفكير في وضعية جديدة لا يمكن للأحزاب القائمة أن تؤدي دوراً فيها، بل إنّها ستقود إلى أن يصيغ الشباب الماركسي البديل الممكن. الآن، سوف يعاد تأسيس الفعل السياسي بوعي جديد وبنى جديدة. فالتجربة التي يخوضها هؤلاء في الصراع ضد النظم سوف تراكم الوعي كذلك إضافة إلى الخبرة، ولسوف توصل إلى تشكل كادر بمستطاعه قيادة الصراع وتطويره عبر تنظيمه وتوضيح هدفه المحوري. هذان العنصران كفيلان بتغيير كلية الوضع في المرحلة القادمة، وخصوصاً أنّ الأزمات الاقتصادية لا حل لها على ضوء التحوّل الأولي الذي حدث ويحدث، نتيجة «انتصار» أحزاب ليبرالية لم ترَ سوى كيف تصل إلى السلطة، أو كيف تؤسس لنظام ديموقراطي دون لمس القاعدة الاقتصادية التي كانت في أساس تشكل النظام الذي ثار الشعب من أجل إسقاطه. وهذا أساس أول. إننا في وضع يتسم بوجود صراع طبقي حقيقي، وإنْ لم يتبلور ذلك في رؤى وأهداف واضحة، وخضع لسطوة الميل الديموقراطي. لكن بات يتّضح ذلك بعد «الانتصار الأول»، إذ ظلت مطالب الشعب هي ذاتها. ويجري هذا الصراع في وضع السلطة فيه ضعيفة ومرتبكة، وربما مشلولة لعجزها عن إعادة «الاستقرار»، ووقف احتجاجات الطبقات الشعبية. وهذا أساس ثانٍ. وهو الوضع الذي يسمح للمفقرين ببلورة بديلهم. ويفرض تأسيس ماركسية جديدة تستطيع وعي الواقع، وبلورة البديل، وصوغ استراتيجية التغيير الثوري. إذن، يجب أن يعي كل ماركسي بأننا الآن في لحظة عابرة، ليست النتائج المتحققة فيها هي النتائج الأخيرة، وأنّ الوضع تقدّم دون أن يكون ممكناً العودة إلى الوراء، وأن صراع العمال والفلاحين الفقراء من أجل التغيير الجذري قد بدأ. وانطلاقاً من كل ذلك لا بد من وضع استراتيجية جديدة، تنطلق من بلورة الرؤية والبرنامج من جهة، ومن جهة أخرى تنظيم العمال والفلاحين الفقراء في حزب، في خضم الصراع الطبقي القائم، والعمل من أجل تطوير الانتفاضات لكي يستطيع هؤلاء استلام السلطة. والأستاذ كيلة كاتب سوري فلسطيني، وناشط سياسي ومثقف ماركسي يمثل ائتلاف اليسار السوري. وكان قد اعتقل مجدداً في الرابع والعشرين من نيسان عام 2012. أبعد أخيراً عن سوريا حيث قضى ثلاثة عقود من ضمنها ثماني سنين في السجن، وقد اتخذ نظام الأسد من أصله الفلسطيني ذريعة لشرعنة إبعاده. ولقد تماهت ميوله مع الثورة الشعبية التي انغمس فيها منذ بدايتها الأولى. يعطي الأستاذ كيلة أهمية قصوى لقدرة الانتفاضة الشعبية على الانتصار دون تدخل أجنبي، وإمكانية أن يحدث التغيير من الداخل ضمن جهاز الدولة الذي ربما تبحث بعض الأطراف فيه عن تسوية مع بعض أطراف المعارضة. وإذا لم ينجح هذا فإن هناك خطر الإنحدار إلى الفوضى والحرب الأهلية طويلة الأجل كما يرى. ويشدد كيلة على رفض الأغلبية للحرب الأهلية الطائفية، وهذا يشمل معظم المجموعات المسلحة وكذلك حتى أشد قطاعات السكان تديناَ، على أنه يحذر من تلك القوى المدعومة من دول الخليج، والتي تريد حرف وهزيمة الثورة الشعبية بتحويلها إلى حرب أهلية طائفية، وهذا ينطبق أيضاً على أطراف في المعارضة السياسية تنحو منحى خطاب طائفي، لذلك يدعو السوريين في الخارج إلى عدم الاقتصار في مساندتهم للثورة على المعونة الانسانية، بل تطوير خطاب سياسي لحملات تضامنية مع الثورة السورية من أجل حمايتها من التشويه والطائفية، ولكي لا يترك هذا المجال لقوى تتبع مخططات أجنبية. تناول كيلة في تحليله فقدان النظام لقاعدته الاجتماعية تدريجياَ مع استمرار وتصاعد الثورة، حيث يمثل انخراط المركزين الحضريين دمشق وحلب في الانتفاضة أهم علامة على دخول المواجهة في المرحلة النهائية، فقد تمثلت استراتيجية النظام من ناحية في الانقضاض الدموي على الاحتجاجات السلمية، ومن الناحية الأخرى لجأ إلى التخويف من الأصولية الإسلامية وحرب أهلية طائفية تكون ضحيتها الأقليات على الخصوص. وقد نجح هذا نسبيا في المرحلة الأولى، حيث ظلت قطاعات مهمة من الشعب، ومن الأقليات على الخصوص، بمنأى عن الاحتجاجات المدنية، ولكن ينبغي هنا ملاحظة أن مكونات من المعارضة كانت جزءا من اللعبة، وقد خدمت الأسد في إنتاجها فعلا لخطاب طائفي سني. غير أن الوضع تغير تدريجيا مع استمرار الانتفاضة ووضوح عجز النظام عن قمعها ، حيث يتزايد ابتعاد قطاعات واسعة عن النظام. فطبقة التجار، وهي إحدى القواعد الرئيسية للنظام أخذت تقلص دعمها له تدريجياً، كما أنه يلاقي صعوبات في تجنيد الشبيحة الذين لا تريد أسرهم فقدان ابنائها من أجل صراع يتبدى خاسراً أكثر فأكثر. على العكس، فقد ألجأت وحشية النظام المنتفضين إلى اللجوء للدفاع عن النفس بقوة السلاح ، فيما واصلت الاحتجاجات انتشارها الواسع في مناطق أكثر. ولقد سرعت الأزمة الاقتصادية التي يعاني منها النظام هذه العملية، فقد دفع فقدان الموارد المالية الناتجة من تصدير النفط وعجز النظام عن تحصيل الضرائب- دفع بالنظام إلى طبع العملة، ما أدى إلى تفاقم التضخم المالي وتصاعد النقمة بين المواطنين بفعل غلاء الأسعار. بيّن سلامة كيلة أن الانتقال إلى الكفاح المسلح تطور مشروع في مواجهة شراسة النظام، فبعد ستة شهور من الاحتجاجات السلمية توصل الناشطون إلى استنتاج أن الدفاع عن النفس بالسلاح هو الوحيد الكفيل بالصمود بوجه هجمات الجيش وميليشيات النظام. وقد سرّع زج الجيش في المواجهة من هذا التحول. لقد جاء التفجير في لحظة تراكمت فيها عوامل ضعف النظام، فبصرف النظر عن المدبر الحقيقي، وسواء كان الأمر عملية ناجحة للثوار أم نتيجة تصفيات داخلية، فإنهما كليهما يكشفان عن أزمة ثقة وفقدان للتماسك في بنية السلطة، فقد باتت أجزاء مهمة من الجيش والشرطة والجهاز الإداري تشك في أية جدوى للحل العسكري، وصارت ترى إمكانية وضرورة التعاون مع الانتفاضة. ومن الناحية الأخرى فإن الحلقة الضيقة المحيطة بالأسد لم تعد تثق بتركيبة سلطتها وصارت تعتمد أكثر فأكثر على القوى الموالية لها حصرياً من داخل جهاز الدولة وخارجه. إن طريقة التغيير الأكبر احتمالاً والمرغوب بها أكثر كما يرى كيلة تتمثل بتغيير من داخل جهاز السلطة تقوم به مجموعة داخلية تنتزع السلطة وتتوصل لتسوية مع جزء من الحراك من أجل إنشاء نظام انتقالي، ويبدو أن روسيا التي لعبت إلى الآن دوراً مصيرياً في الحفاظ على الأسد تغير من موقفها في هذا الاتجاه، فهي تبحث عن قوى يمكنها أن تـقود الانتقال بما يضمن مصالحها. أما إذا لم يحدث تغيير داخلي كهذا، فإن النظام يمكن أن يقاتل حتى النهاية، وهذا قد يتسبب بفوضى وحرب أهلية إذا لم تكن المعارضة قادرة على فرض سيطرتها والحفاظ على وحدة البلد رغم تدخل المجاميع المنقادة لمخططات خارجية. وفي نهاية المطاف، فإن الشعب السوري بقواه الذاتية هو الوحيد القادر على دحر النظام والإمساك بالدولة. في الوقت ذاته يقر كيلة بوجود قوى مدعومة من العربية السعودية ودول الخليج الأخرى تسعى لإثارة حرب أهلية طائفية، غير أنه يرى في ذلك ظاهرة سياسية هامشية لا تعبر عن المطاليب الاجتماعية والسياسية للجماهير الشعبية، على أن تدخل قوى عالمية وإقليمية أخرى تمثل مخططات متنافرة ما فتئت تزيد من تعقيد الوضع. لقد حاربت العربية السعودية الحراك الديموقراطي في المنطقة العربية منذ بدايته المبكرة، خشية أن يبلغ أرضها في نهاية المطاف، لذلك قدمت الدعم المالي لنظام الأسد في الأشهر الأولى للانتفاضة السورية، ثم أنحازت فيما بعد إلى القوى الأصولية ضمن المعارضة بغية إجهاض الثورة من الداخل. إن الخط السعودي يتمثل في تحويل الحراك الديموقراطي الشعبي إلى حرب أهلية طائفية. والسعوديون، ووراءهم الدول الإمبريالية يبتغون اقتتالاً طويل الأمد ينهك جميع الأطراف، كي يتمكنوا في النهاية من فرض شروطهم على المنتصرين، أياً كانوا. يؤكد كيلة رفض أغلبية السكان الانجرار إلى حرب أهلية طائفية، والحقيقة أن العكس هو السائد، ففي حين اتخذت الأقليات موقفاً سلبياً في المرحلة الأولى خوفاً من الأصولية السنية، فإنها تشارك اليوم في الاحتجاجات المناوئة للنظام. وحتى ضمن العلويين، فإن تأييد الأسد أقل مما يذكر، ويرى كيلة من ضمن مهمات المعارضة إقناعهم ونزع الخوف عنهم عن طريق ضمانات سياسية جريئة بدلاً من تهديدهم كما تفعل بعض الفئات المعارضة. كما يحذر كيلة من التبسيط على الطريقة الطائفية التي تربط المجاميع المذهبية بمواقف سياسية متجانسة، فعصابات الشبيحة سيئة الذكر على سبيل المثال لا تنتمي بمجموعها إلى العلويين حصرياً كما جرت العادة في تقارير الأخبار، فإذا كانت جذور الظاهرة تكمن في منطقة الساحل حيث نشطت تركيبة مافيوية في التهريب بحماية من عائلة الأسد- مخلوف الحاكمة، فإن الشبيحة في المناطق الأخرى لا ينتمون إلى طائفة بحد ذاتها (حلب مثلاً). هؤلاء الرعاع لم يتورعوا حتى عن إرهاب العلويين الذين هم بدورهم يكنون الكره لهم، وفي الآونة الأخيرة جرى تحويل الشبيحة إلى تركيبة شبه عسكرية. من ضمن الانتفاضات العربية، كانت السورية أكثرها إثارة للجدل، حيث أن كثيراً من تلك القوى التي رحبت بالانفجارات الشعبية في تونس ومصر والبحرين وحتى ليبيا لم تقع على عبارات واضحة بخصوص سوريا، وسبب ذلك يكمن في الدعم الرسمي الذي يقدمه النظام للمقاومة الفلسطينية. والخلل يكمن في أن هذا التصور يظل ماضوياً عاجزاً عن إدراك التغير العميق الذي يجتازه المجتمع السوري. فقد بدأ التوجه نحو الليبرالية الرأسمالية في التسعينيات، ثم تسارعت العملية بعد توريث السلطة لبشار الأسد، ومنذ عام 2007 لم يعد الوضع الاجتماعي في سوريا يختلف كثيراً عن تلك الأقطار التي بدأت فيها التمردات الشعبية: سيطرة نخبة سلطوية مافيوية الطبع على القطاعات الحيوية للاقتصاد، مع نسبة هائلة من البطالة بحدود 30% وازدياد في الفقر الجماعي مدفوعا بالهوة المتسعة بين الأجور والأسعار. لقد اندمجت سوريا تماماً في النظام الرأسمالي العالمي، كما سرعت الاتفاقيات الاقتصادية مع تركيا من انهيار القطاعات المنتجة (الزراعة والصناعة)، وغالباً ما كان يجري تجاهل هذا الجانب الاجتماعي في التحليل الذي يتناول الميدان السياسي حصرياً. الخطأ الثاني يكمن في رؤية الامبريالية من منظور جيو- سياسي ومعايير شكلية تقليدية، وهنا أيضاً لا تؤخذ الأزمة الاقتصادية الرأسمالية في الاعتبار، فقد تضاءلت في الواقع قابلية الرأسمالية على فرض هيمنة عالمية، وحتى في ليبيا حيث تدخل الناتو تدخلاً عسكرياً مباشراً، لم يتمكن الغرب من فرض شروطه، كما أنه ليس بوسع الإمبريالية تنظيم “مؤامرة” كالانتفاضة السورية؛ على العكس، فقد اتسمت سياستها بالاعتراف بفقدان الهيمنة، لذلك تعجز واشنطن عن الفعل المباشر في سوريا، وهي تتطلع نحو تفاهم مع روسيا بينما تخلي مجال التأثير المباشر لأوروبا وتركيا والسعودية. غير أن التدخل التركي أيضاً غير مواتٍ، ففيما انقلبت أنقرة على الأسد، فهي عازفة عن تقديم الدعم الكامل للمجاميع المسلحة، ولا تريد نفوذا أمريكياً قوياً يقلم أظفارها في المنطقة، ثم أنها تخشى الفوضى التي قد تتأجج في أراضيها. وحتى لو تمكنت الامبريالية من تأمين مصالحها خلال فترة انتقالية عن طريق إدراج بعض القوى الإسلامية، فإن هذه لن تكون قادرة على حل المشاكل المحركة للانتفاضات الشعبية. إن القوى السياسية الجديدة المنبثقة عن الحركات الجماهيرية، والتي يبدو جلياً أنها ستواصل النضال في سوريا وفي الأقطار العربية الأخرى، هي معقد الآمال لدى الأستاذ سلامة كيلة. رغم أن الإصلاح والتحديث كانا مطروحين منذ عقود، وخصوصاً بعد وفاة الرئيس حافظ الأسد، ظل الطلب قائماً لأن الإصلاح لم يتحقق، وما جرى خلال العقد الأخير هو إطلاق يد الليبرالية تحت شعار تحديث الاقتصاد، وتحديث الإدارات. وهو الأمر الذي قاد إلى الانفجار الاجتماعي الذي ما زلنا نعيشه، والذي وصل إلى حدّ طرح شعار إسقاط النظام. ومع الانفجار عادت وعود السلطة بتحقيق الإصلاح، وتقدمت خطوة بطرح قوانين تتعلق بالعملية، وقبل ذلك رفع حالة الطوارئ وإلغاء محكمة أمن الدولة، وزيادة محدودة في الأجور لا تلبي الطموحات، حتى ما حفلت به الدراسات التي أعدّتها الدولة، والتي أشارت إلى مضاعفة الأجور أضعاف ما هي عليه لا رفعها بنسبة الثلث تقريباً. وإذا كان قانون الأحزاب هو آخر القوانين التي تعتمدها السلطة لتحديث بنية الدولة، فإن متابعة مجمل القوانين التي صدرت توضح أن هذه القوانين لن تحدث تغييراً يسمح بالقول إن الإصلاح قد تحقق، وخصوصاً في وضع بات الشعب فيه يطالب بالتغيير لا بالإصلاح. فمثلاً القانون الذي صدر بعد وقف العمل بقانون الطوارئ وإلغاء الأحكام العرفية لا يفعل سوى إعادة إنتاج الأحكام العرفية من خلال ربط الممارسة بالضابطة العدلية التي تقرر الاعتقال والمحاكمة، لا بالقانون الطبيعي. وقانون «السماح» بالتظاهر كان قانوناً لمنع التظاهر من خلال ربط الموافقة بوزارة الداخلية، التي من حقها الرفض دون أسباب وجيهة لا يحددها القانون أصلاً. وقانون الأحزاب الجديد لا يختلف عن ذلك. فإذا كانت السلطة هي التي تحدد الحزب «الرسمي» من خلال ضمه إلى «الجبهة الوطنية التقدمية»، ويعطى الامتيازات المحدَّدة، فإن قانون الأحزاب الجديد يربط الاعتراف بالأحزاب بلجنة يرأسها وزير الداخلية وثلاثة أعضاء يسميهم الرئيس، وخامس قاض يسميه رئيس محكمة النقض. وبالتالي تكون السلطة التنفيذية هي الحاكمة في ما يتعلق بالأحزاب، وهو الأمر الذي يُخضع الأحزاب لسلطة تنفيذية ربما هم معنيون بتغييرها وتحقيق سياسات أخرى مختلفة، من خلال الانتخابات، أو أنها لا تتوافق مع ما يطرحون مما يجعلها ترفض الاعتراف بهم. عادة تتأسس الأحزاب عبر الإخطار، أي من خلال تقديم إخطار إلى وزارة الداخلية بتأسيس الحزب، ويكون الفصل للقضاء في ما إذا كان هناك اعتراض على مبادئه. وفي هذه الوضعية، حيث يكون القضاء مستقلاً لا خاضعاً كذلك للسلطة التنفيذية، يمكن القول بوجود حرية للأحزاب، وبمساواة بينها. أما أن تصبح السلطة التنفيذية هي المنوطة بالاعتراف بأحزاب «من لون آخر»، فهو ما يجعل النتيجة واضحة، وتتمثل في الاعتراف بأحزاب «متكيفة» مع السلطة ذاتها، ورفض أحزاب تختلف مع «الحزب الحاكم» في السياسات الاقتصادية أو الخارجية أو الأمنية أو الوطنية. فمن يمكن قبوله هو الحزب المتكيف مع السلطة، الذي يطرح ما يناسبها، ما دامت السلطة ذاتها هي التي تقر أو تمنع نشوء الأحزاب. هنا السلطة ليست محايدة، هي طرف يمثل حزباً، وبالتالي ليس من حقه إعطاء الحق أو منع الحق في إنشاء الأحزاب. وهو في تساوٍ مع أي حزب يمكن أن ينشأ كما يفترض المنطق الديموقراطي، وليس المقرّر لحق الأحزاب. والغريب في القانون أنه يعترف بأحزاب الجبهة أحزاباً «مرخصة»، رغم تناقض بعضها مع القانون. فالقانون يشير إلى أن شروط الاعتراف تتضمن ألا يكون الحزب فرعاً لحزب غير سوري، وهذا ما لا ينطبق على حزب البعث ذاته، الذي هو حزب «عربي»، و«خاضع» لـ«قيادة قومية». طبعاً دون أن نشير إلى أن حزب البعث لا يزال يتمتع بالامتياز الأهم من خلال المادة الثامنة في الدستور التي تجعله القائد للدولة والمجتمع، ومن خلال امتياز اختيار المرشح للرئاسة قبل أن «ينتخبه» مجلس «الشعب». وبالتالي فإن كل الأحزاب التي يمكن أن ترخّص لا بد من أن تكون في ظل هذا الحزب وتحت قيادته. بالتالي، إذا حاولنا تقويم مجمل القوانين التي صدرت، والروحية العامة التي تصدر بها، نلمس أن السلطة تنطلق من «ترقيع» البنية السياسية لا أي شيء آخر. فهي تنطلق من استمرار سيطرتها، وتحسين شكل وجودها عبر انفراج سياسي جزئي، وأن كل ما يجري هو التفاف على المسألة الجوهرية التي تتمثل في أن هذا الشكل السياسي من النظم بات في تناقض مع المجتمع. والمنطق العام الذي يحكم كل هذه الخطوات هو الصيغة التي حاولت نظم عربية تحقيقها قبل أكثر من عقدين بعد انتفاضات لم تكن قادرة على تحقيق التغيير. لقد حسنت الفئة الحاكمة في مصر النظام السياسي منذ أواسط ثمانينات القرن الماضي، وأصدرت قوانين تتعلق بالصحافة والأحزاب، والانتخابات. وفعل النظام الأردني ذلك بعد انتفاضة نيسان سنة 1989، وحاول النظام الجزائري أوسع من ذلك فاصطدم بانتصار الإسلاميين. وتقدم النظام المغربي أكثر من ذلك من خلال إنشاء المعارضة للحكومة التي ظلت خاضعة لقرار الملك، لكن النظم ظلت هي هي، وها هي الانتفاضات تدق أبوابها رغم كل «الديموقراطية» التي تحققت. إصلاح متأخر؟ كثير جداً، وبلا معنى؟ بالتأكيد. فلا إلغاء الأحكام العرفية ألغاها، ولا قانون الأحزاب سيؤسس أحزاباً، ولا الشعب يهتم بكل ذلك. فقد انتظر طويلاً عملية الإصلاح، وأمل في محطات عديدة أن تجد السلطة حلاً لمشكلاته، وحين تراكمت هذه المشكلات إلى حد شعوره بالعجز عن التحمل فقد الأمل بكل إصلاح. هذه هي اللحظة التي أسست لانفجار كبير بات يطرح أفقاً آخر، وهو الأمر الذي جعله ينتقل إلى المطالبة بإسقاط النظام. وهو هنا يتلمس أن السلطة لم تعد تُصلح. لهذا دخلنا في زمن يتجاوز الإصلاح. ولهذا سيبدو الإصلاح هامشاً في صيرورة تغيير كبيرة. في نقد ورد كاسوحة لي كثير من التشوش الفكري، لكن أيضاً الكثير من عدم الاضطلاع (الأخبار، العدد 1757، السبت 14 تموز 2012). فقد أشار إلى أنني لم أتناول وضع «الشرائح التي توالي النظام»، ولا أشرت إلى أخطاء الجيش الحر والمعارضة عموماً، رغم أن الكثير مما كتبت تناول هذا الموضوع بالتحديد. فقد أشرت مراراً إلى أسباب وقوف فئات اجتماعية مع السلطة، والانعكاس السلبي لخطاب المعارضة على هذه الفئات خصوصاً. كذلك نقدت «السلاح» في مقال عنوانه «هجاء السلاح»، موضحاً أخطار الميل إلى عسكرة الثورة. وبالتالي لم أكن من «اليسار» الذي غض النظر عن كل ما يجري. لكن يبدو أن ورد يريد فقط أن «نعترف» بأن «الصراع الذي يدور على أرضنا إنما هو معقد بعض الشيء، ويكاد يقع في منزلة بين منزلتين: فلا هو طبقي تماماً، ولا هو طائفي تماماً أيضاً، بل هو خليط من هذا وذاك»، لكي لا نكون من اليسار العميل لرأس المال. هذا وضع لا يفرض الوصول إلى نتيجة أن الصراع في أحد وجوهه هو صراع طائفي، بل يعني أن هناك فئات لا تقف في الموقف الذي يجب أن تكونه نتيجة عوامل مختلفة، منها تخويف السلطة، وسياسة بعض أطراف المعارضة، والخوف من المستقبل في ضوء الصورة التي تبلورت في ما يخص الثورة. طبعاً في الثورة هناك قوى تنطلق من منطلق طائفي (سني)، لكن هل الشعب المنتفض ينطلق من هذا الأساس؟ الأمر غير ذلك في الواقع، وهو ما أفشل تحوّل الصراع إلى صراع طائفي رغم الدفع العنيف من قبل السلطة لكي يصبح كذلك. إذ إن واقع المفقرين (وهم أغلبية كبيرة) جعلهم ينتفضون من أجل وضع مختلف، ولهذا خاضوا الصراع مع السلطة، الأمر الذي حوّله إلى صراع سياسي من أجل إسقاط السلطة. وهنا ليس شكل التعبير عن المطالب هو المحدِّد لكنه الثورة، بل إن هذا الشكل انحكم لوعي بسيط ساد لدى الفئات المفقرة نتيجة الاستبداد الطويل الذي أنهى السياسة ودمّر الثقافة. وهذا الشكل هو التعبير عن مضمون يتعلق بمطالب هؤلاء في مواجهة السلطة السياسية ومن أجل بديل آخر لا يحمل هذا «الوعي» شكله أو مضمونه بالضبط نتيجة غياب الوعي السياسي. وليس «التحاق» أقلية دينية بالسلطة هو نتاج وعي طائفي، بل كان نتاج وضع جعل هذه الفئات تتخوّف من المستقبل رغم أنها تختزن رفضاً هائلاً للسلطة، وهنا بالضبط نتيجة وضعها الطبقي. إن فهم واقع الصراع يجب أن ينطلق بالتالي من فهم تموضع المجتمع، وطبيعة انقسامه الطبقي أولاً، ومن ثم يمكن تلمس كل «التشوه» الذي يمكن أن يطاول وعي الفئات المفقرة، الذي يجعلها إما تتبنى تصورات غير مطابقة لمصالحها، سواء في صراعها مع السلطة أو في «التحاقها» بها. هنا يكون الفعل السياسي، واللعب السياسي، وخطر الإعلام الذي يريد تشويه طبيعة الصراع وحرفه إلى مستويات أخرى، هي طائفية. بمعنى أن الأساس في تحديد طبيعة الصراع هو واقع الشعب الاقتصادي بالتحديد، ومن ثم يمكن تلمس وعيه والمسار الذي يسير فيه في إطار الصراع، وأسباب ذلك. وهذا ما حاولته طوال أشهر الثورة، ولم أصل إلى أن الصراع هو «منزلة بين المنزلتين»، حيث لم أجده في الواقع كذلك. على العكس أظن أن إدخال «الوعي الطائفي» كمحدد لطبيعة الصراع يجعلنا نتجاوز اليسار إلى اليمين، لأننا حينها نعود إلى تفسير الواقع بالأفكار بعد أن فسّرت الماركسية الأفكار بالواقع. المسألة الأخرى التي يتناولني فيها ورد هي فهمي للوضع الدولي، إذ يقول إنني أنافح «عن الإمبرياليات الغربية (ولو عن غير قصد) ويدافع دفاعاً مستميتاً عن إخراجها جزئياً من الصراع إلى حين (إسقاط النظام)»، ويرفض ورد اعتبار أن روسيا هي «إمبريالية صاعدة». لكن ما حاولته هو تفسير الأسباب التي تجعل التدخل العسكري الأميركي (والغربي) غير ممكن انطلاقاً من تحوّل الوضع الدولي بعد الأزمة المالية في 2008، التي أفضت إلى أن تراجع الولايات المتحدة استراتيجيتها العسكرية، وتقرر أنها لا تستطيع خوض سوى حرب واحدة بعد أن كانت تعتقد أن بإمكانها خوض حربين كبيرتين وعدة حروب صغيرة، وأن تعتبر أن منطقة الهادئ هي التي تحظى بالأولوية، وتقلص عديد جيشها وميزانية الدفاع بشكل كبير. وهذه كلها معلومات منشورة، وتعني أن أميركا لم تعد كما كانت، بل إنها تتراجع. في المقابل، باتت لروسيا قوة قادرة على أن تكون طرفاً مقابلاً للولايات المتحدة، وتعمل على تشكيل قطب آخر في مواجهتها. لكل ذلك كانت إمكانية التدخل العسكري الإمبريالي «الغربي» مستحيلة، وما زالت. هل في ذلك إخراج لها كطرف في الصراع؟ هي طرف، لكن لم يعد يستطيع فرض ما يريد، وهذا هو الجديد في الوضع الدولي الراهن. طبعاً، «المماحكة» في هذا الموضوع نابعة من «اللاوعي» الذي يقول بنظرية المؤامرة، وبالتالي لا يريد الاستنتاج أن أميركا لم تعد قادرة على فرض ما كانت تريده قبلئذ (الشرق الأوسط الجديد)، وبالتالي لا يمكن إلقاء المسؤولية في الصراع السوري عليها، للقول بأن الأمر يتعلق بالوضع الداخلي السوري، الذي أفرز التمايز الطبقي الشديد، الذي فرض حدوث الانفجار الاجتماعي. وورد لا يريد أن يصدّق أن روسيا باتت إمبريالية، لهذا يربط مفهوم الإمبريالية بالتدخل العسكري الخارجي، رغم أن الإمبريالية هي تكوين اقتصادي طبقي في الرأسمالية، وروسيا باتت رأسمالية من دون شك بعد أن «لفظت» الاشتراكية. ولأنها غدت كذلك أصبحت تبحث عن الأسواق ومناطق النفوذ، وهذا هو الذي يدفعها لخوض الصراع مع الإمبرياليات «القديمة». ويبدو أن ورد غير مطّلع على واقع الرأسماليات، لا الأميركية الأوروبية ولا الروسية، لهذا يتساءل: «هل بات بالإمكان حقاً أن نضع في سلة واحدة رأسمالية ناشئة وإن تكن مافياوية الطابع، وأخرى تقليدية ومتموضعة على امتداد العالم في شكل مراكز للإنتاج والتصنيع وأطراف للاستهلاك وتصدير القوى العاملة الرخيصة؟». أولاً ليس من تصدير للقوى العاملة الرخيصة، بل منع هجرة الأيدي العاملة الرخيصة، وهذا أحد المآخذ على ليبرالية الرأسمالية التي تريد فتح الأسواق أمام السلع ورأس المال وإغلاقها أمام اليد العاملة، وسأعتبر ذلك سهواً منه. وثانياً يبدو أنه لا يتابع تراجع الإنتاج في هذه المراكز، وتحكّم المال المضارب في تكوينها، وتراجع الصناعة في مجمل التكوين الاقتصادي الداخلي (خصوصاً أميركا هنا)، وهذا في أساس الأزمة الراهنة والمستمرة لهذه الرأسماليات. وثالثاً إن روسيا والصين هما البلدان اللذان باتا يحتاجان إلى الأسواق لتصدير السلع والرأسمال. وأزمة روسيا تتمثل في أنها بحاجة إلى الأسواق في وضع كانت الولايات المتحدة تحاول فرض الحصار عليها من خلال منع بيع سلعها (خصوصاً هنا السلاح)، لهذا باتت تخوض الصراع العالمي من أجل فرض منطق جديد يؤدي إلى تقاسم جديد للأسواق. موقفي هذا لم يتكون خلال الثورة السورية لكي يكون «أخلاقياً»، بل تكوّن خلال السنوات السابقة، ويمكن العودة إلى ما كتبته منذ زمن سابق لكل الثورات العربية. إذ إنني أتابع تحولات الوضع العالمي باستمرار، ولا أنطلق كما يفعل كثيرون من حدث لتحديد مواقف وسياسات. ما قلته منذ انهيار الاشتراكية بأن روسيا باتت رأسمالية، ولأنها باتت كذلك ستدخل في صراع مع الرأسماليات الأخرى على الأسواق (انظر كتاب «الاشتراكية أو البربرية؟» إصدار دار الكنوز الأدبية سنة 2001، وهو مكتوب منذ 1993). بالتالي على عكس من ينطلق من موقف لكي يبني تصوراته بنيت تصوراتي انطلاقاً من فهمي للوضع العالمي، ومن فهمي للظروف الواقعية (وهذا ما كان يدفعني إلى القول بأن الوضع السوري يسير نحو الانفجار، على الأقل منذ 2007). في النهاية، لا يمكن أن يكون يسارياً من يقف مع «رأسمالية ناشئة»، «من أجل الحد من هيمنة الإمبرياليات الغربية». هي كلها رأسماليات لا بد من الصراع ضدها. ولا شك في أن الاستفادة من التناقضات في ما بينها لا يعني الوقوف مع أحدها ضد الأخرى، وإلا تحقق الالتحاق بالرأسمالية في صراع طرف لكي يهزم طرفاً آخر. هذا ما رفضه الماركسيون خلال الحرب الأولى مثلاً، ويجب أن يرفض في كل حين، لأنه يقوم على أرضية دعم الرأسمالية لا التخلص منها. وهذا منطق الأحزاب الشيوعية لعقود طويلة، والذي أفضى بها إلى الهامشية. ليست روسيا والصين والهند والبرازيل رأسماليات ناشئة، بل رأسماليات تتحول إلى قوى إمبريالية في عالم يتسم بتراجع الإمبرياليات القديمة، وأزمة عامة تطاول كل الإمبرياليات القديمة والجديدة.